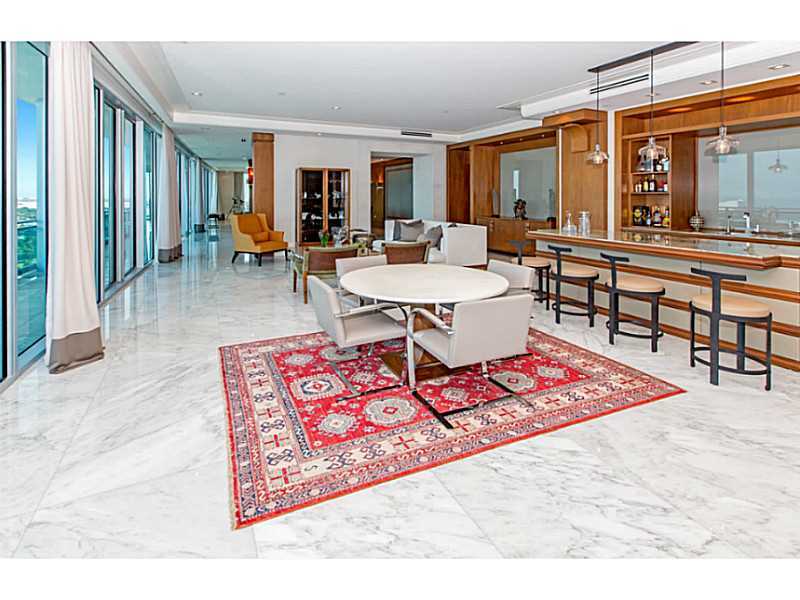 This majestic penthouse in the sought after Ritz Carlton Building of Bal Harbour will take your breath away! This five bedroom six and a half bathroom massive floor plan is laid out over seven thousand and eight hundred square feet of perfectly appointed living space. The panoramic endless ocean views can be seen from the two thousand seven hundred and ninety nine square feet of terrace space. The windows are floor to ceiling which adds the extra dramatic open air living feel. Only the most chic designer materials were used in the finishing touches of final construction. The this stunner features a private relaxing sauna. You can enjoy reading and researching in your own private library. entertain your guests with the ultra luxurious media room. 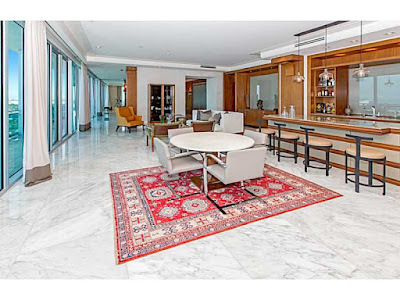 This penthouse has ten car spaces and a rare private two car garage. The flooring throughout is marble and wood. The gourmet kitchen has a full suite of stainless steel appliances, granite counter tops and modern cabinetry! The residents of The Ritz Carlton Bal Harbour have the world renown Shoppes of Bal Harbour in walking distance for the ultimate world class shopping and dining. South Beach and the famous Ocean Drive and Lincoln Road is just a short drive. Aventura mall is another five star shopping destination in South Florida. The Residents of the Ritz Carlton can enjoy all the amenities.